*** Congratulations!! Face Cam was featured by Apple in "New & NoteWorthy". Top 10 Paid Photography AP in over 10 countries. ‧Face Cam Portraits are more impressive than iPhone HDR camera shots. 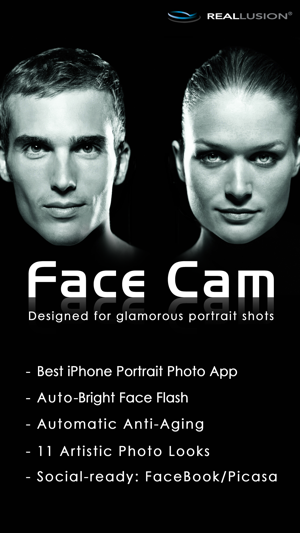 ‧Faces captured with Face Cam are brighter, more dramatic and rejuvenate automatically. 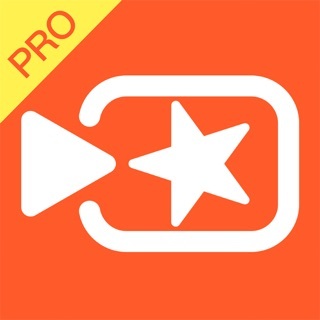 ‧Get the most valuable photo app for shooting usable iPhone photos. 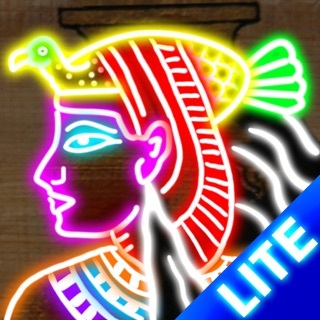 ‧Get it now and show your True Beauty in every photo! Face Cam is a smart camera app for the best iPhone portrait photos by automatically finding the human face and enhancing your look. Enrich the overall lighting and color tone in every photo. Always look your best with magic refinement of skin quality and facial style. You appear exactly the same, naturally your photo. Beautiful, younger and better. Please don't take my picture! Afraid the camera shows your age and minor little imperfections? FaceCam can smooth your worries and give you a refreshed look instantly and for every photo. Ready for your close-up? 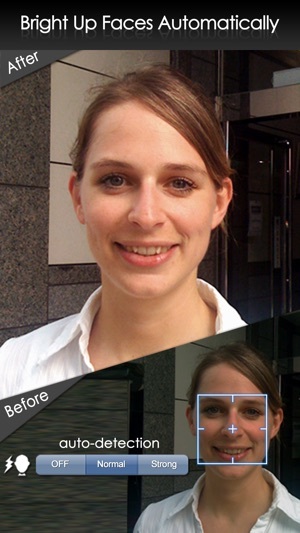 ‧Face Cam's powerful image color correction uses automatic light balancing. ‧Auto-detect human face and skin color to optimize the flash settings and create vibrant colorful photos from imperfectly lit images such as over/under exposed, taken with a low quality camera or washed-out due to backlighting. ‧Enhance skin with subtle color adjustment to improve skin color for light, dark and all variations of skin color fitting every culture. ‧Improve skin's complexion and smooth the texture by reducing wrinkles, lines or smoothing rough skin. 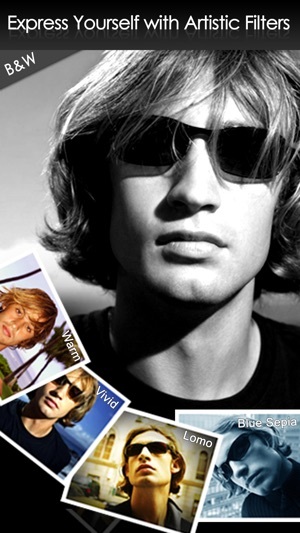 ‧Easy photo editing: Face Cam includes 2 auto-templates for male and female. For picture-perfect results advanced users can manually enhance faces to provide subtle studio-like improvements within an easy-swipe studio. Ever have this problem? Your iPhone camera works well on a bright sunny day, however you usually get rather dull, dark, or cold looking photos while shooting in-doors with normal lighting. You can not change the weather or lighting, but you can change your camera app which makes you look your best when shooting photos in most any lighting condition. 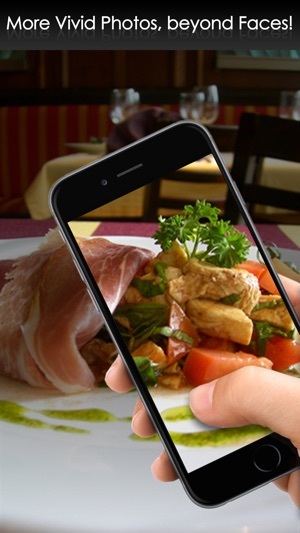 Beautify more than faces, food photography and even whiteboard notes are clearer and more vibrant with Face Cam. 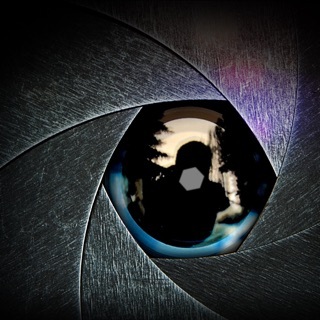 FaceCam provides 11 most wanted camera effects adding artistic style to your shots. ‧Full-screen shooting (Big button shutter snap): Snap shots by just touching anywhere on the screen to capture. ‧Import and edit photos from your photo library or iPhone camera roll. ‧Save images to your Camera Roll. ‧E-mail and share photos instantly with Facebook/Picasa.